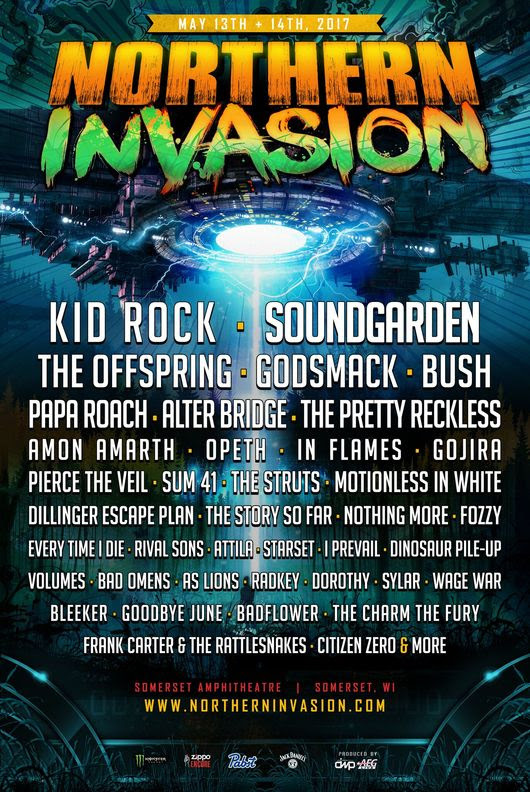 PRYOR, Okla. – Rocklahoma will rock the foundations of the “Catch the Fever” Festival Grounds, from May 25 through May 27. Doors open at 2 p.m. There will be four stages and their motto is “Life, Liberty & the Pursuit of Rock”. It celebrates 12 years, AEG Presents is producing, part of the World’s Loudest Month, Eddie Trunk is hosting and is presented by Bud Light. 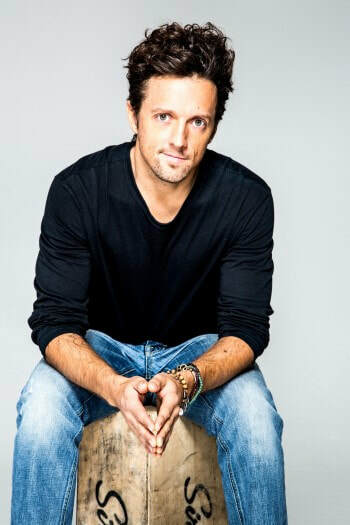 ORLANDO, Fla. – Jason Mraz’s March 2018 tour includes the Walt Disney Theater at Dr. Phillips Center for the Performing Arts, on March 13. His trek begins on March 8 at Memorial Auditorium in Raleigh, N.C. It concludes on March 31 at Robinson Center Auditorium in Little Rock, Ark. He will perform a solo acoustic set and his expedition is in association with Live Nation. 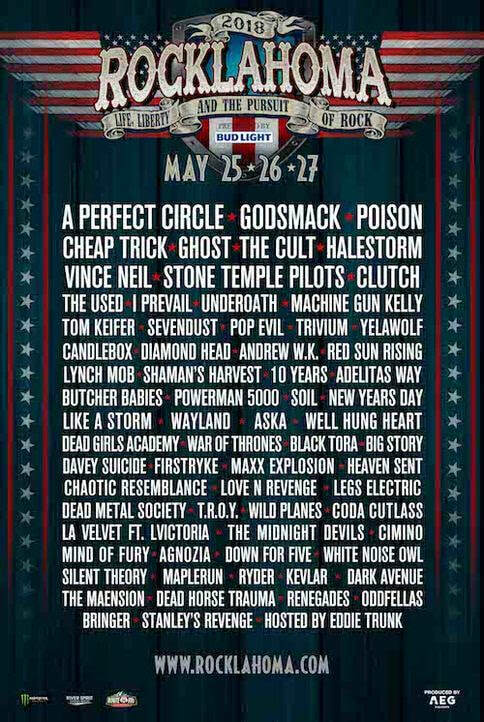 COLUMBUS, Ohio – Rock on the Range will take place at MAPFRE Stadium, from May 18 through May 20. It will be celebrating 12 years. There will be close to 60 bands and a total of three stages. There will be stand-up comedy at the ROTR Rolling Rock Comedy Tent and the lineup will be announced in the early part of 2018. It is brought in part by Monster Energy. AEG Presents and Danny Wimmer Presents are the producers. 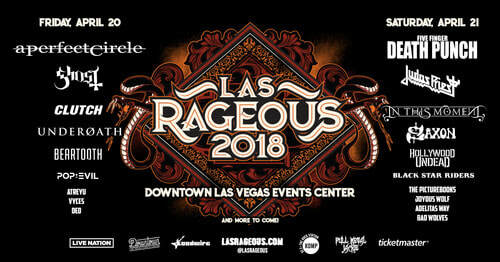 LAS VEGAS – Las Rageous returns to downtown Las Vegas, on April 20 and April 21. The festival will occupy two square blocks at the Downtown Las Vegas Events Center. 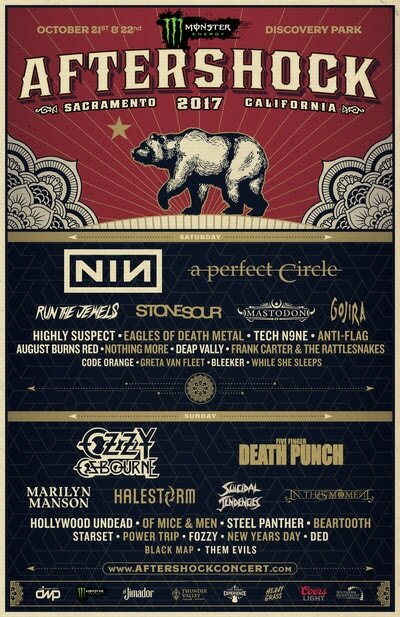 A Perfect Circle headlines on April 20 and Five Finger Death Punch will be the headliners on April 21. It is produced by Live Nation Las Vegas. ​ST. 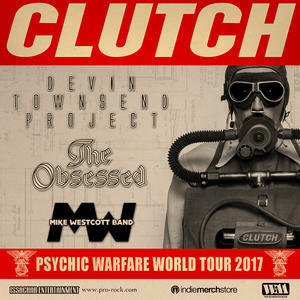 AUGUSTINE, Fla. – The Psychic Warfare World Tour 2017 featuring Clutch, Devin Townsend Project and The Obsessed will be making a trek stop at the Backyard Stage at The St. Augustine Amphitheatre, on Dec. 5. The expedition begins on Nov. 29 at the Cone Denim Entertainment in Greensboro, N.C. It concludes on Dec. 31 at Express Live in Columbus, Ohio. 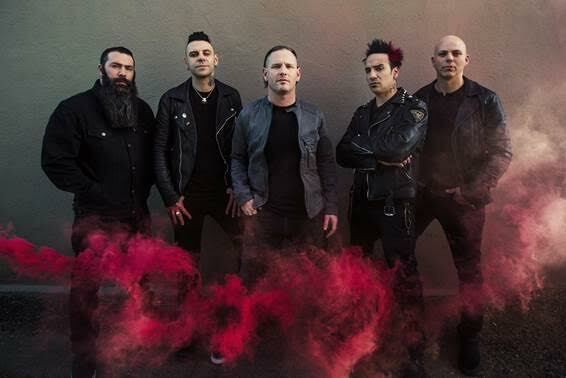 Stone Sour will be continuing on their European and North American tour, from Nov. of 2017 to June of 2018. The current European trek for the “Hydrograd World Tour” continues with a sold out performance on Nov. 15 at The Grey Hall in Copenhagen, Denmark. It concludes with a three night stand from June 14 through June 17 at Nova Rock in Nickelsdorf, Austria. Tickets for the North American leg of the tour will go on sale, on Nov. 17. 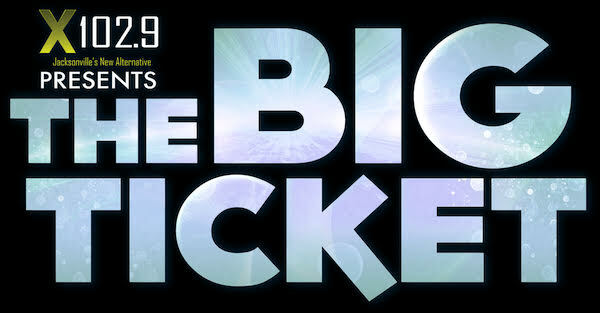 JACKSONVILLE, Fla. – The Big Ticket will be taking place indoors rather than outdoors, on Dec. 1. It will be moving from Metropolitan Park to Jacksonville Veterans Memorial Arena (300 A. Philip Randolph Blvd.). Tickets sold beforehand will be honored. Those who purchased very important (VIP) tickets will receive the perks as previously advertised. It is presented by X102.9 Jacksonville’s New Alternative, fueled by Monster Energy and produced by Danny Wimmer Presents. 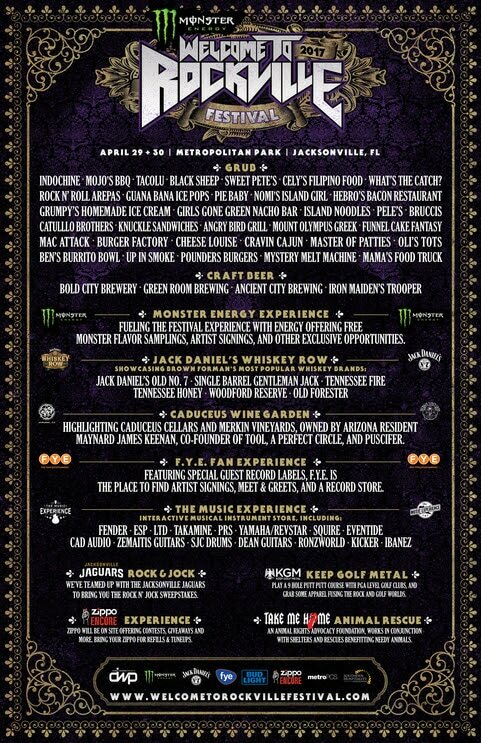 Additional sponsors include Founders Brewing Co.
​JACKSONVILLE, Fla. – Foo Fighters, Ozzy Osbourne, Avenged Sevenfold, Queens of the Stone Age, Billy Idol, Godsmack and Five Finger Death Punch will be the co-headliners of the eighth annual Monster Energy Welcome to Rockville at Metropolitan Park, from April 27 through April 29. 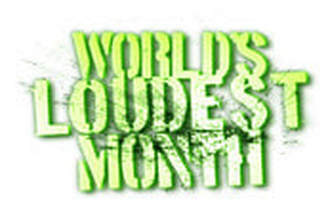 Details for the World’s Loudest Month were released, on Nov. 2. It was created by AEG Presents and Danny Wimmer Presents. There are six events taking place in the U.S., for five consecutive weekends and from April to May. It is sponsored by Monster Energy. In 2017, over 500,000 attended the festivals. 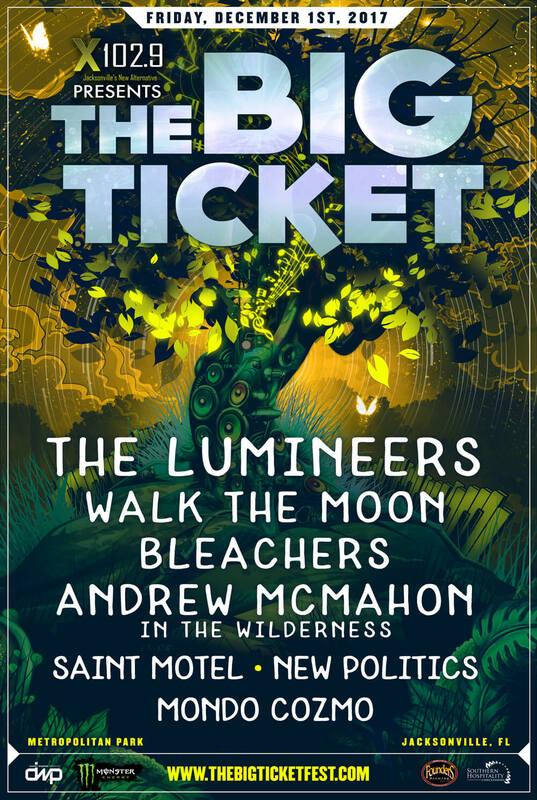 ​JACKSONVILLE, Fla. - X 102.9 Jacksonville’s New Alternative will present The Big Ticket, on Dec. 1. It is going to take place at Metropolitan Park. The lineup consists of: The Lumineers, Walk The Moon, Bleachers, Andrew McMahon in the Wilderness, Saint Motel, New Politics and Mondo Cozmo. It is presented by Danny Wimmer Presents. 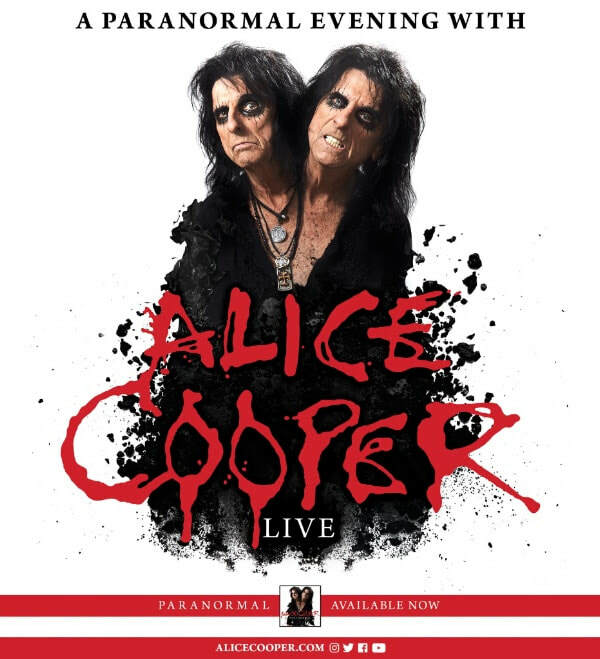 JACKSONVILLE, Fla. – Alice Cooper’s “A Paranormal Evening with Alice Cooper” tour will include Florida Theatre, on March 18. The expedition will begin on March 1 at The Colosseum at Caesar’s in Windsor, Ontario, Canada. It will conclude on March 29 at Murat Theatre in Indianapolis. He will be promoting his 27th overall album, “Paranormal”. 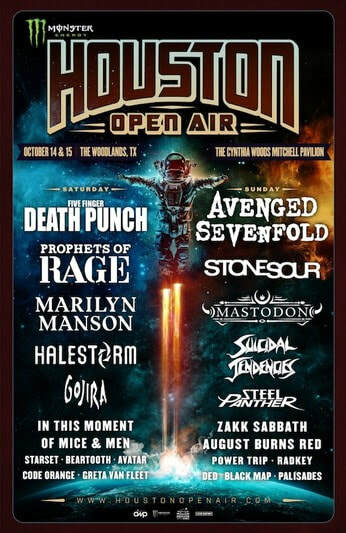 ​THE WOODLANDS, Texas – Avenged Sevenfold will headline the second day of 2017’s Monster Energy Houston Open Air, on Oct. 15. It will take place at The Cynthia Woods Mitchell Pavilion presented by Huntsman and produced by Danny Wimmer Presents. GAINESVILLE, Fla. – The Fest 16 will be taking place at various venues, from Oct. 27 through Oct. 29. Acts from local to international levels will be taking the stage and some are performing in the state of Fla., without a tour. It is presented by Pabst Blue Ribbon Beer, No Idea, Common Wealth Pres, Madison Drum Makers, Visit Gainesvile and Orange Amplification. 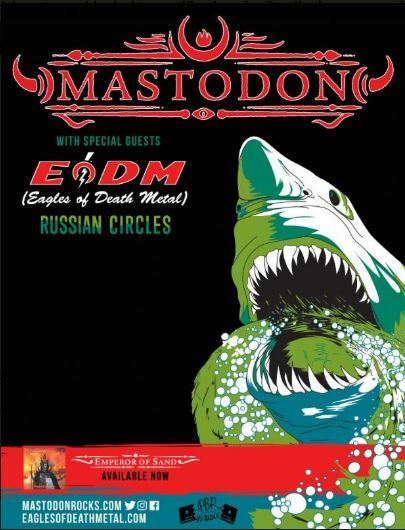 BRIDGEVIEW, Ill. – Chicago Open Air’s set time were announced, on June 20. Along with set times, the ReverbNation Battle of the Bands contest opened and is allowing one unsigned band to open the BlackCraft stage, on July 15. Also, Loudwire premiered the new edition of “The Vikings Are Coming! 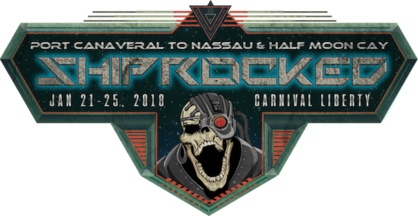 ORLANDO, Fla. – Make America Rock Again will be making a tour stop at the Central Florida Fair. 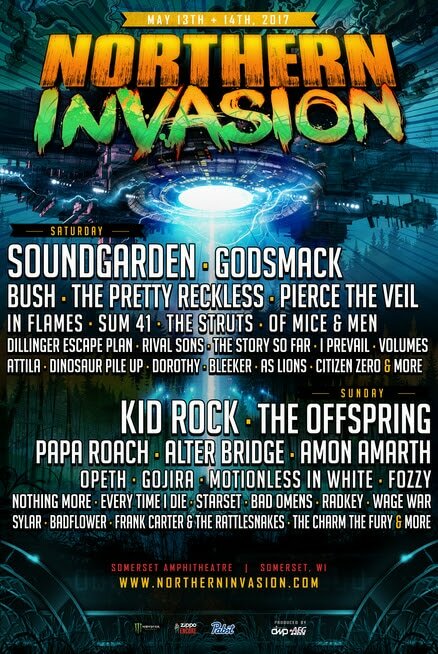 The lineup will consist of Creed’s Scott Stapp, Sick Puppies, Drowning Pool, Trapt and Adelitas Way. 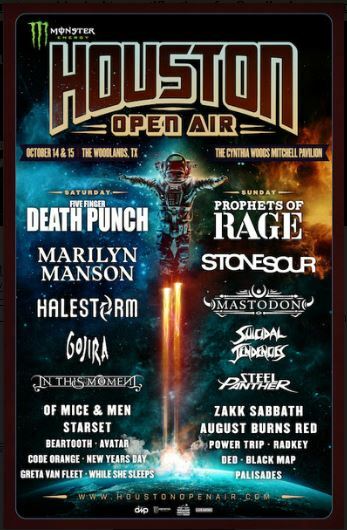 ​THE WOODLANDS, Texas – Five Finger Death Punch, Prophets of Rage, Stone Sour, Marilyn Manson, Mastodon and Halestorm are a few of the 25 bands which will be part of Monster Energy Houston Open Air. It will be taking place at The Cynthia Woods Mitchell Pavilion presented by Huntsman, on Oct. 14 and Oct. 15. It is produced by Danny Wimmer Presents and Live Nation. MOUNTAIN VIEW, Calif. – Chris Hardwick’s ID10T: Music Festival + Comic Conival have added more attractions. The event is set to take place at Shoreline Amphitheatre, on June 24 and June 25. JACKSONVILLE, Fla. – Gulf coast leg of Dirty Rotten Imbecile’s (D.R.I.) But Wait… There’s More! 2017 Tour will include Nighthawks, on Dec. 6. It will begin on Nov. 29 at Come & Take It Live in Austin, Texas. 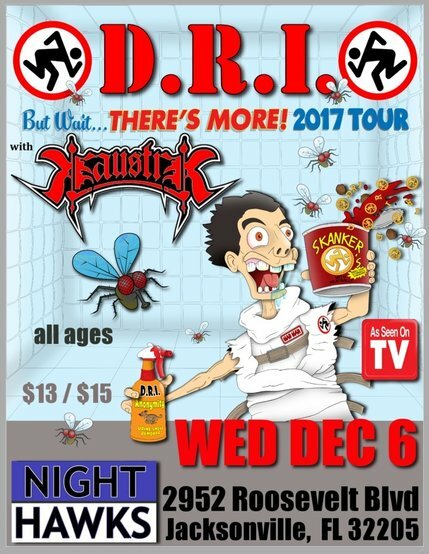 The expedition will conclude on Dec. 10 at Bombshells in Orlando, Fla. Kaustik will be on tour with D.R.I. JACKSONVILLE, Fla. – 2017’s A Brief History of Everything Tour will be making at a stop at Daily’s Place, on Aug. 19. The lineup features Matchbox 20, Counting Crows and Rivers and Rust. Spokane Arena in Spokane, Wash. will host the first date, on July 12. It will conclude on Oct. 1 at Irving Music Factory in Irving, Texas. 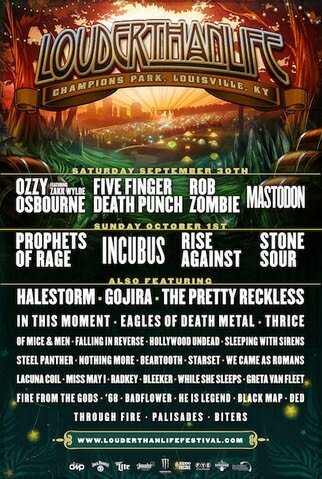 LOUISVILLE, Ky. – Louder Than Life will take place at Champions Park, from Sept. 30 through Oct. 1. 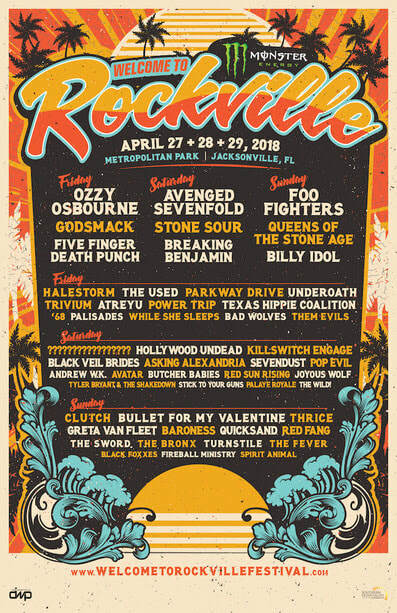 Ozzy Osbourne featuring Zakk Wylde, Prophets of Rage, Five Finger Death Punch, Rob Zombie and Incubus will be the headliners. It will celebrate the world’s top bourbon, music and Louisville cuisine too. 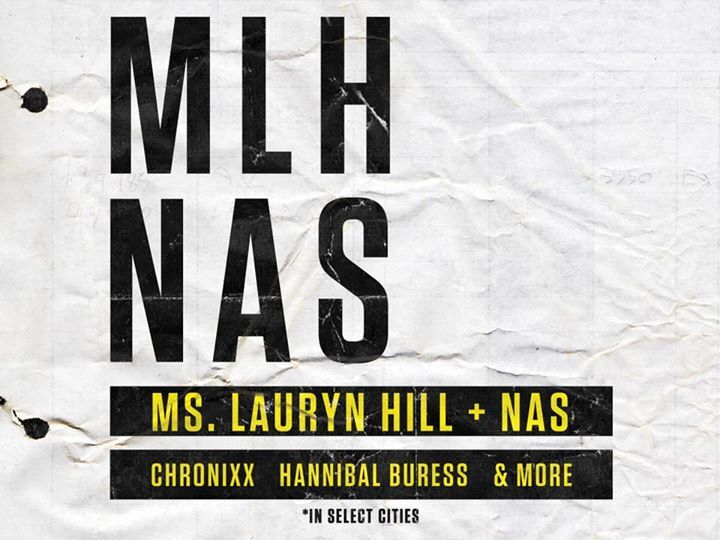 JACKSONVILLE, Fla. – Lauryn Hill and Nas will be co-headlining at Daily’s Place, on Sept. 23. Chronixx will be the direct support. Their expedition is set to begin on Sept. 7 at Huntington Bank Pavilion at Northerly Island in Chicago. It will conclude on Oct. 11 at Pacific Coliseum in Vancouver, British Columba, Canada. 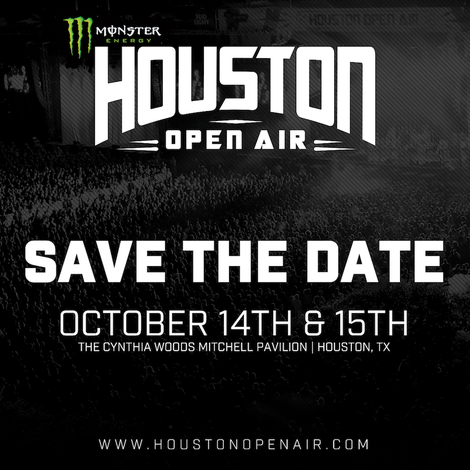 THE WOODLANDS, Texas – Monster Energy Houston Open will return to The Cynthia Woods Mitchell Pavilion presented by Huntsman, on Oct. 14 and Oct. 15. Tickets for the event will be available for purchase on June 16. 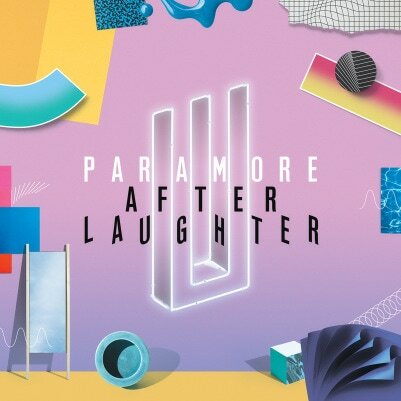 ​JACKSONVILLE, Fla. – Paramore begins their “Tour Two” at Moran Theater, on Sept. 6. The expedition comes to an end on Oct. 17 at Ryman Auditorium, in Nashville, Tenn. Livenation will produce the trek. 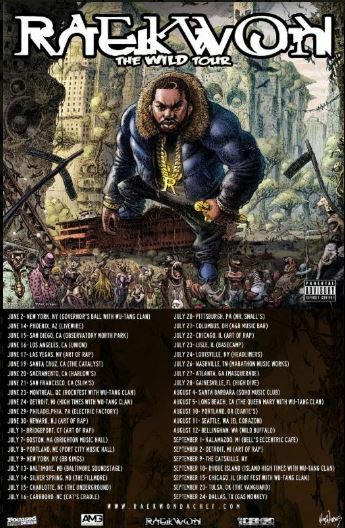 Gainesville, Fla. - Raekwon’s “The Wild” Tour will be making a stop at High Dive, on July 28. His trek will begin on June 2 at Governor’s Ball in New York. It will conclude on Sept. 24 at Gas Monkey, in Dallas. His performance at High Dive is presented by Glory Days. ​Hollywood, Calif. – In This Moment are going on a summer expedition. It begins on June 19 at Soaring Eagle Casino, in Mt. Pleasant, Mich. It concludes on Aug. 5 at Centennial Mall & M Street, in Lincoln, Neb. From June through Aug., Vimic and Little Miss Nasty shares the same bill with them. 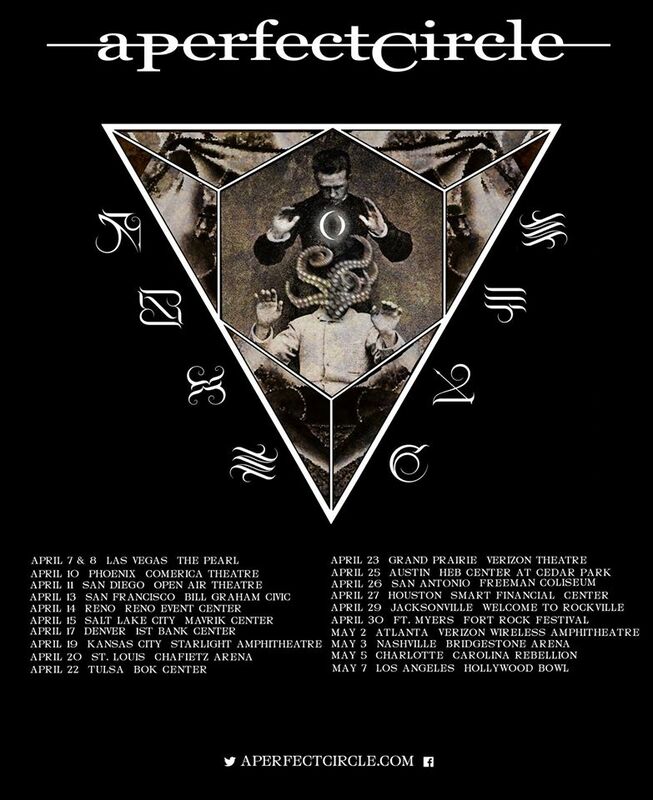 Starset is part of the lineup on select dates with In This Moment. 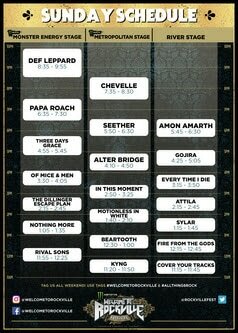 In This Moment will be the support on Avenged Sevenfold’s performance on June 19 and Papa Roach on June 23. 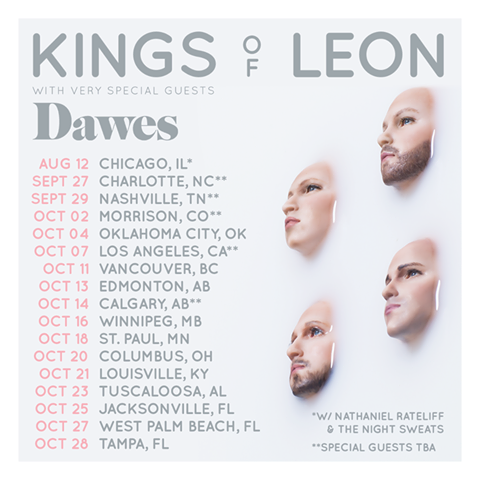 ​JACKSONVILLE, Fla. – Kings of Leon and Dawes are set to take the stage at Daily’s Place, on Oct. 25. Dawes is the very special guest. Their tour will begin on Aug. 12 at Hollywood Casino Amphitheater, in Chicago. 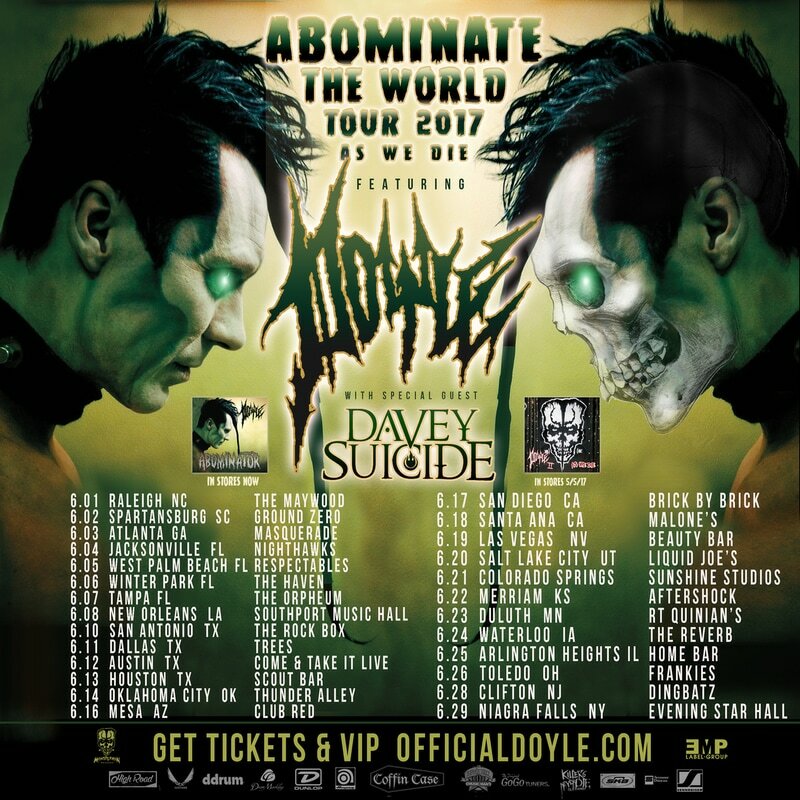 It will conclude on Oct. 28 at MIDFLORIDA Credit Union Amphitheatre in Tampa, Fla.
JACKSONVILLE, Fla. – Monster Energy Welcome To Rockville and The Student Experience are joining forces to offer two unique chances for Bright Futures Scholarship recipients. They have to be 18 or older and is funded by Florida Lottery. ​SOMERSET, Wis. – Northern Invasion have announced the set times, festival experiences and Northern Invasion Good Eats for 2017. It takes place on May 13 and May 14. There will be 12 hours of music on both days, three stages and a top tier campground experience. The lineup is subject to change. 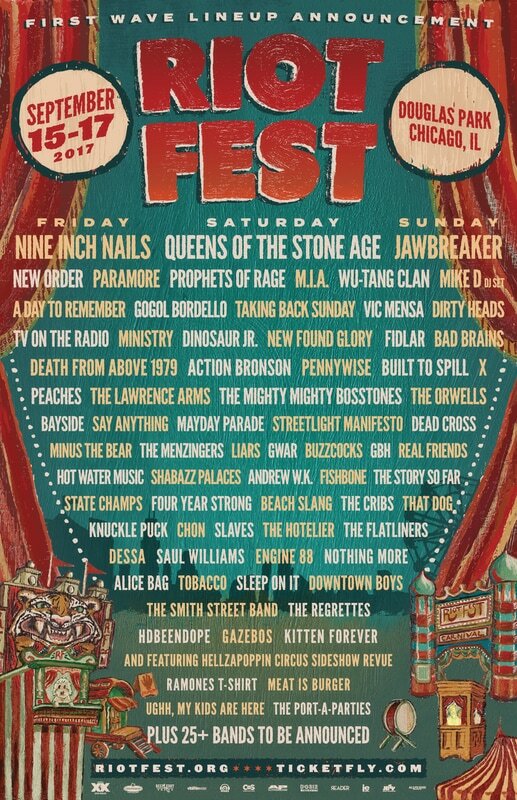 ​CHICAGO – Riot Fest will take place at Douglas Park, from Sept. 15 through Sept. 17. Nine Inch Nails will headline on Sept. 17, Queens of the Stone Age is headliner on Sep. 16 and Jawbreaker is the headlining act on Sept. 17. 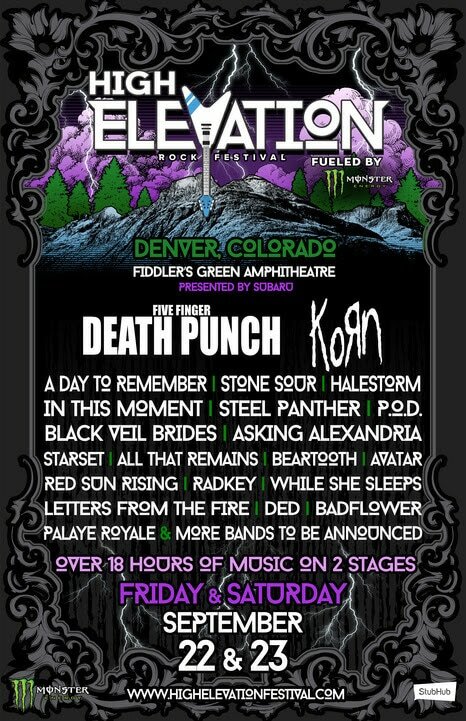 ​GREENWOOD VILLAGE, Colo. – High Elevation Rock Festival will be taking place at Fiddler’s Green Amphitheatre, on Sept. 22 and Sept. 23. 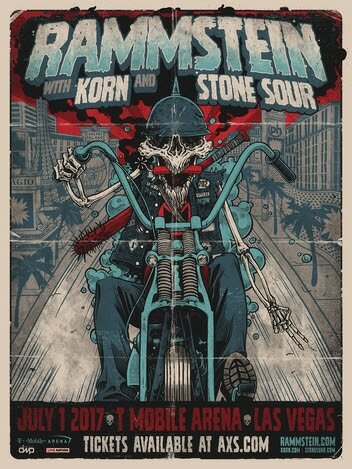 Five Finger Death Punch and Korn will headline. There will be 18 hours of music and takes place on two stages. It is fueled by Monster Energy and presented by Subaru. ​JACKSONVILLE, Fla. – Set times for the band and the Eat. Rock. Repeat. food vendors have been announced for Monster Energy Welcome To Rockville , for April 29 and April 30. 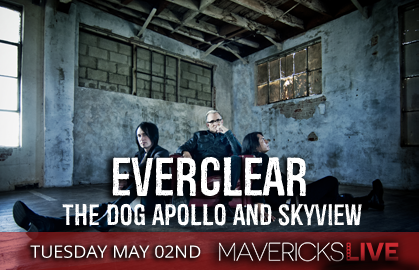 ​JACKSONVILLE, Fla. – Everclear will bring their Fla. tour to a close at Maverick’s at the Landing, on May 2. The Dog Apollo and Skyview will also be on the bill. 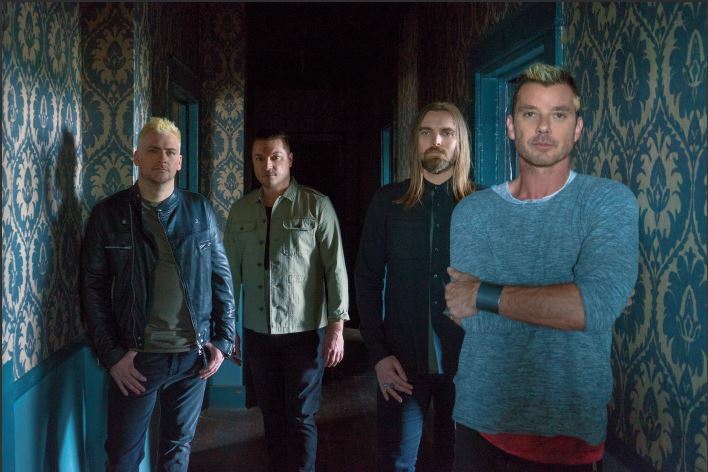 Their statewide tour will begin on April 27 at Parker Playhouse at Broward Center in Ft. Lauderdale, Fla.
​ORLANDO, Fla. - Bush and The Kickback will kick off their tour at Hard Rock Live, on May 9. Their trek will come to an end on June 10 at Power Plant Live! in Baltimore. ​LAS VEGAS – Rammstein, Korn and Stone Sour will take the stage at T-Mobile Arena, on July 1. It is produced by Danny Wimmer Presents and Live Nation Las Vegas. 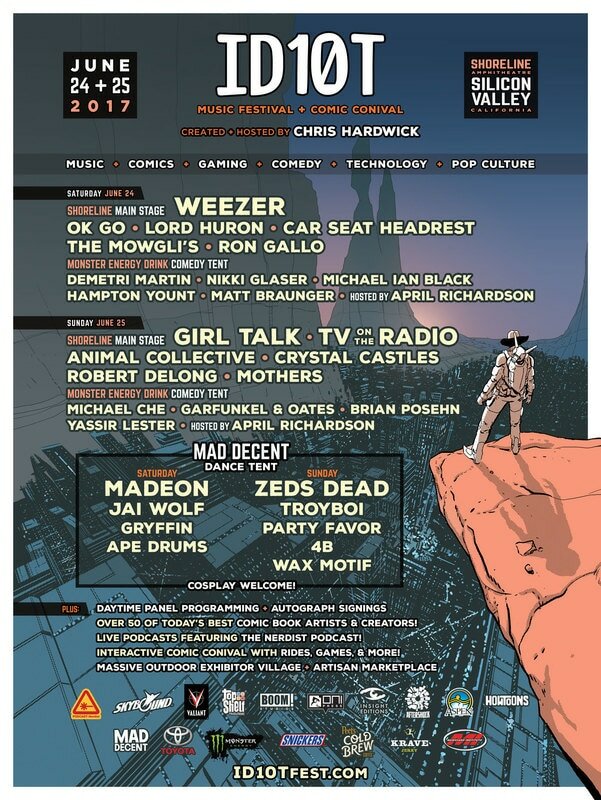 MOUNTAIN VIEW, Calif. – ID10T Music Festival and Comic Conival will be taking place at Shoreline Amphitheatre, on June 24 and June 25. It will be featuring music, comics, gaming, comedy, technology and pop culture. Chris Hardwick is the creator. He will be one of the hosts, along with April Richardson. 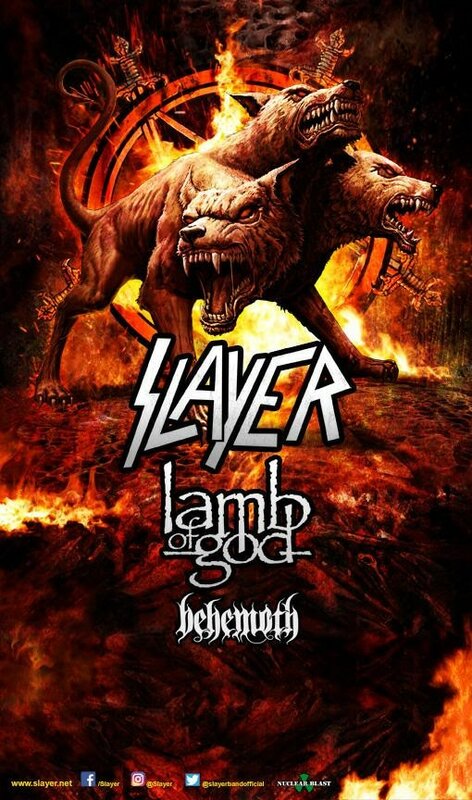 ST. AUGUSTINE, Fla. – Slayer, Lamb of God and Behemoth will be making a tour stop at The St. Augustine, Amphitheatre, on July 21. Their expedition will begin on July 12 at Sanford Center in Bemidji, Minn. It will conclude on Aug. 20 at Comerica Theatre in Phoenix. 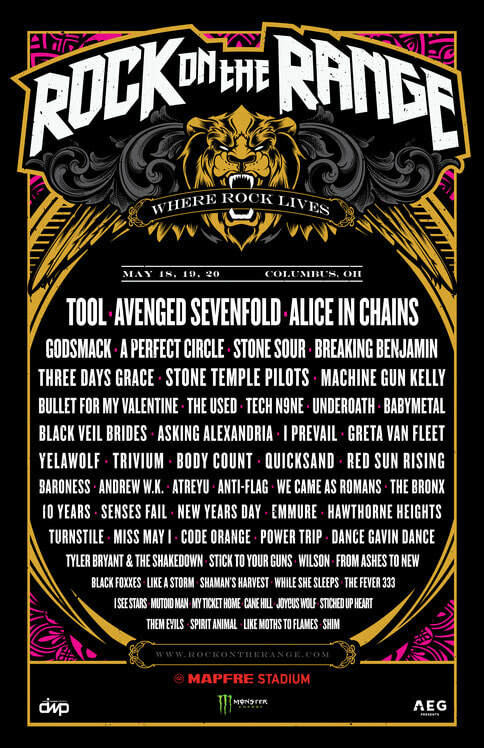 Slayer and Lamb of God will perform at Rock Fest 2017 and Rock USA 2017, on July 13 and July 15. They will reunite with Behemoth at Chicago Open Air and continue their trek, on July 16. 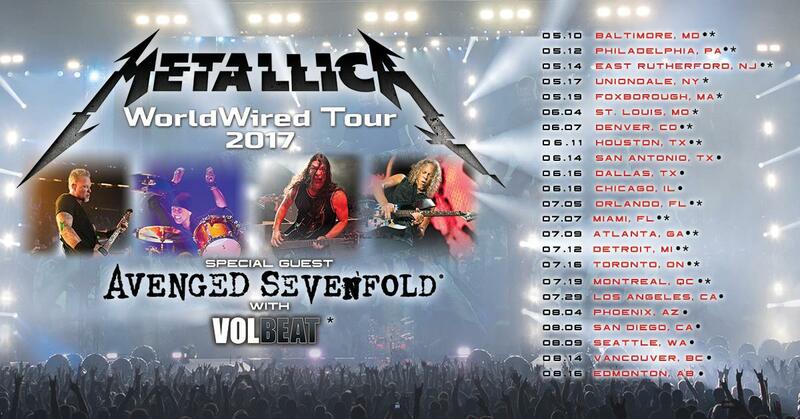 ​ORLANDO, Fla. – Metallica’s “The WorldWired Tour” will be making a tour stop at Camping World Stadium, on July 5. Volbeat and Avenged Sevenfold will be the supporting them. ​JACKSONVILLE, Fla. – Daily lineups of Welcome To Rockville and addition of Of Mice and Me were announced, on Feb. 9. 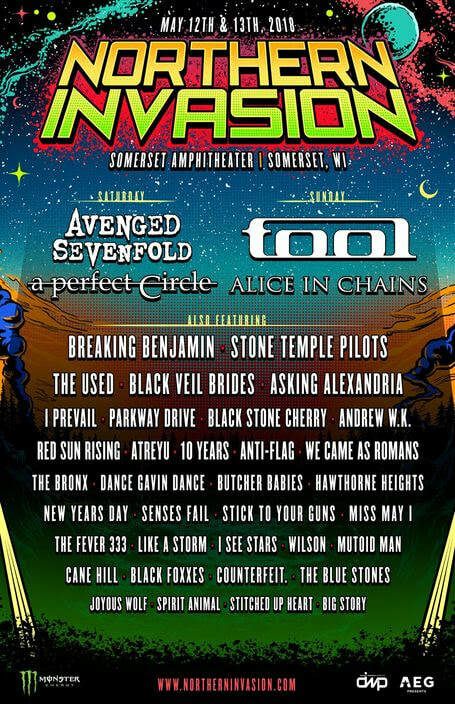 ​SOMERSET, Wis. – Northern Invasion announced the single day lineups, on Feb. 6. ​JACKSONVILLE, Fla. – Tech N9ne’s The Strictly Strange 2017 Tour will make a stop at Mavericks Live, on May 6. The expedition begins at Slowdown in Omaha, Neb. on March 22. It concludes at a venue to be determined in Kansas City, Mo., on June 24. 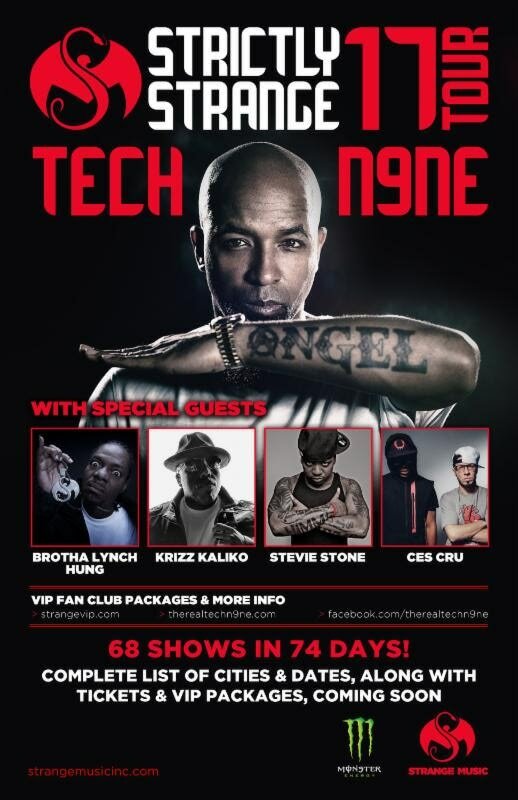 Joining Tech N9ne will be Brotha Lynch Hung, Krizz Kaliko, Stevie Stone and Ces Cru. ​BRIDGEVIEW, Ill. – Toyota Park will host Chicago Open Air, from July 14 through July 16. Over 40 performers, craft beer, Gourmet Man Food festival, Headbangers Bier Hall, fan experiences and other forms of entertainment will take part at the festival. 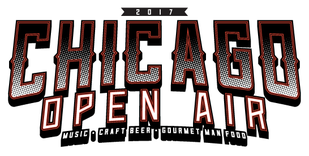 Also, there will be a Chicago Open Air Pre-Party and SiriusXM’s Jose Mangin will host Chicago Open Air Kick Off Fiesta. 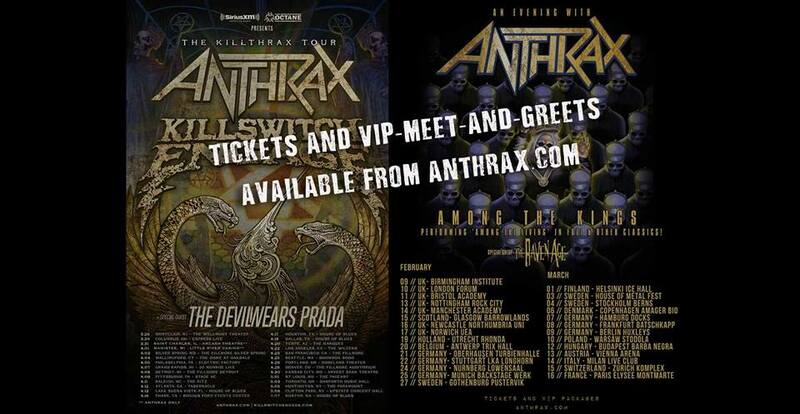 The Chicago Open Air Pre-Party will be held at Concord Music Hall, on July 13. 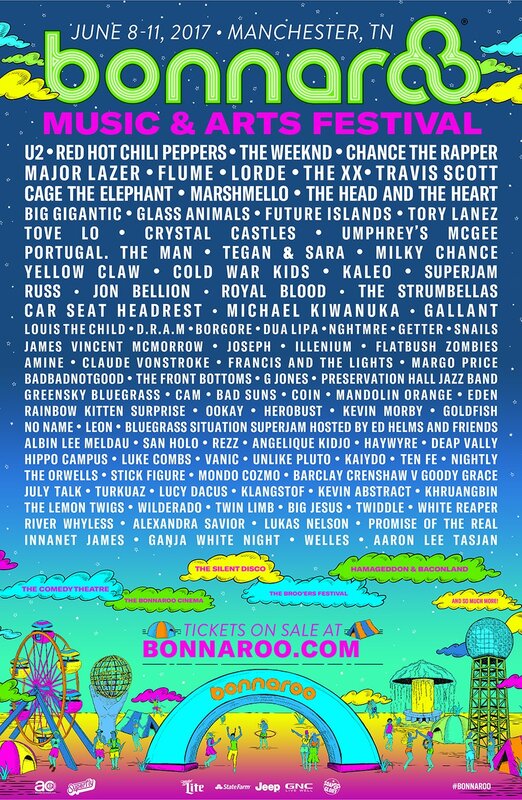 ​MANCHESTER, Tenn. – Bonnaroo Music and Arts Festival have announced the lineup for 2017. It is set to take place from June 8 through June 11. Headliners are U2, Red Hot Chili Peppers, The Weeknd and Chance The Rapper. 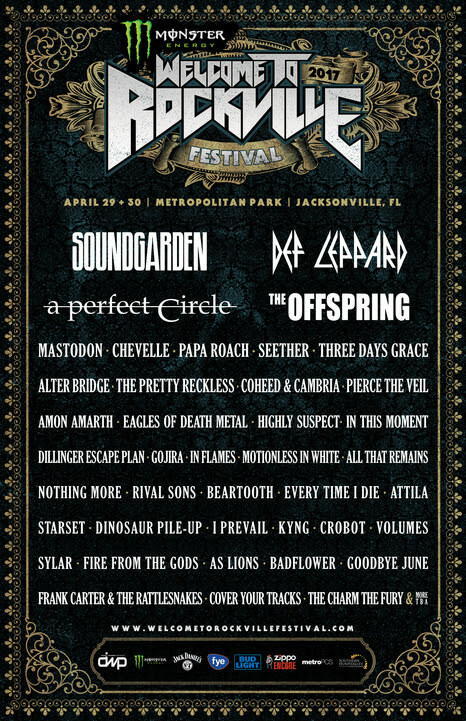 JACKSONVILLE, Fla. – A Perfect Circle will perform at Monster Energy Welcome To Welcome at Metropolitan Park, on April 29. Their tour begins with back-to-back dates at The Pearl in Las Vegas, on April 7 and April 8. It will conclude at Hollywood Bowl in Los Angeles, on May 7. 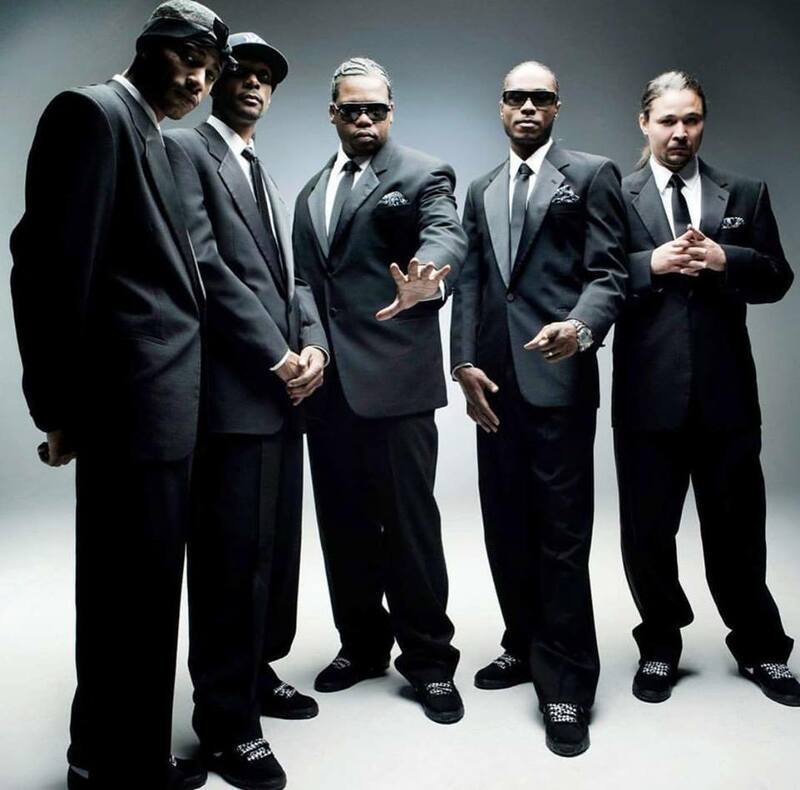 DELAND, Fla. – Bone Thugs -N- Harmony will be performing on stage at Cafe DaVinci, on Feb. 2. Their tour begins on Dec. 30 at The Joint in Hard Rock Hotel & Casino in Las Vegas. It will conclude on Feb. 27 at B.B. King Blues Club & Grill in New York. 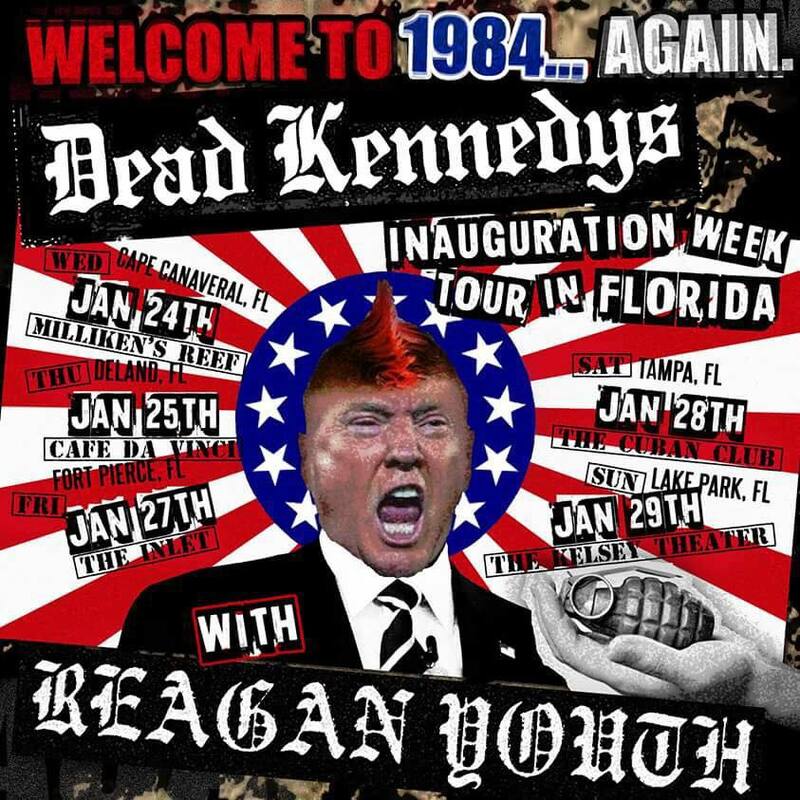 DELAND, Fla. – Dead Kennedys and Youth Regan will take the stage at Cafe DaVinci, on Jan. 25. It is part of the Inauguration Week Tour in Florida. The trek will begin on Jan. 24 at Milliken’s Reef in Cape Canaveral, Fla. 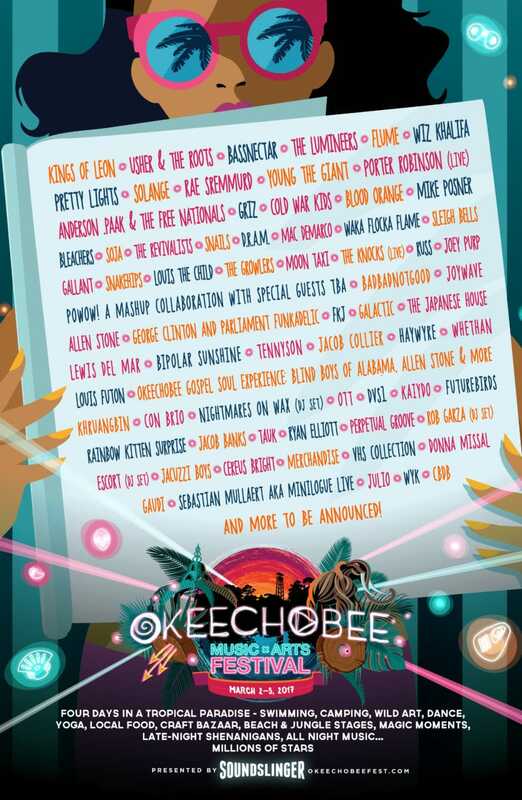 It concludes on Jan. 29 at The Kelsey Theater in Lake Park, Fla.
OKEECHOBEE, Fla. – Okeechobee Music and Arts Festival takes place at Sunshine Grove, from March 2 through March 25. It is presented by Soundslinger. 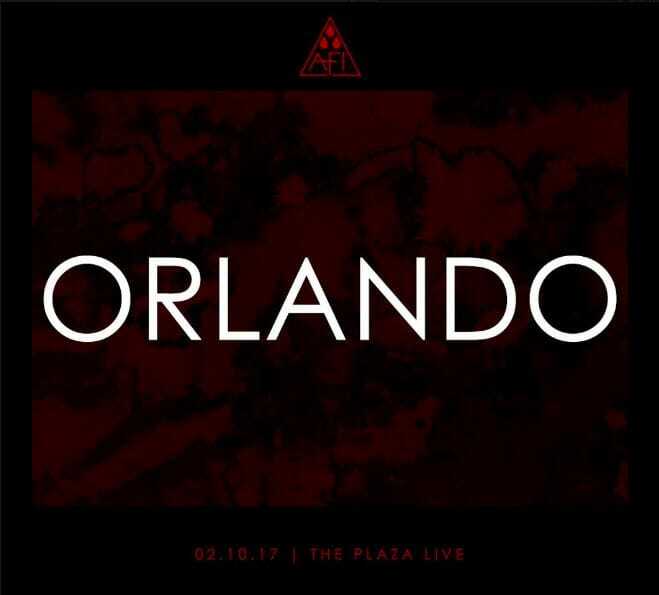 ORLANDO, Fla. – AFI, Nothing and Souvenirs will be performing at The Plaza, on Feb. 10. 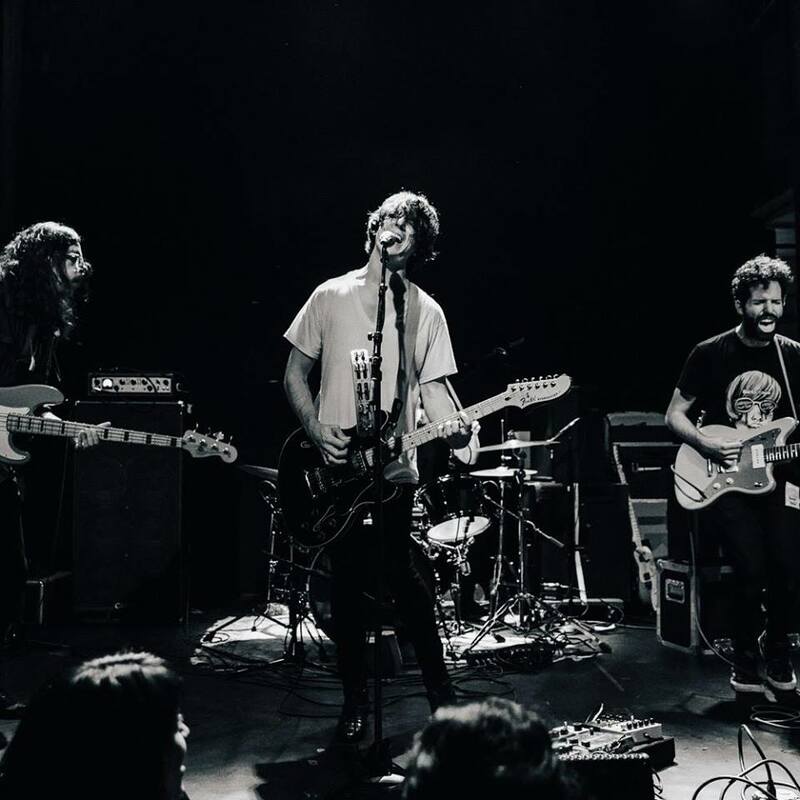 The three bands will be touring together starting on Feb. 4 at Paradise Rock Club in Boston. They will end their trek together with back-to-back dates on Feb. 20 and Feb. 21 at the Observatory North Park in San Diego. 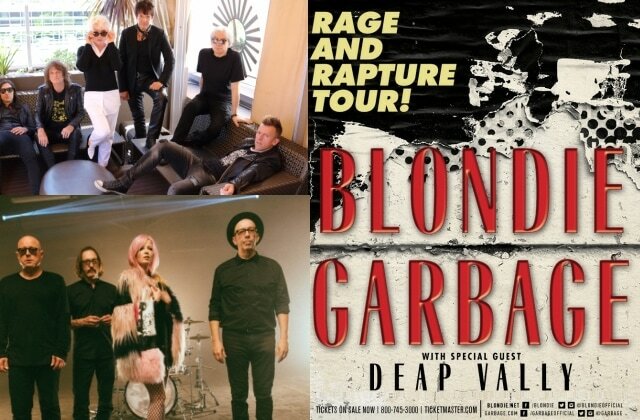 It will be a part of AFI’s nationwide tour starting on Jan. 20 at the Troubadour in Los Angeles. MILWAUKEE – Summerfest will be celebrating the 50th year of the festival at Marcus Amphitheater. Red Hot Chili Peppers will perform on June 28 and P!nk is scheduled to take the stage on July 2. Tom Petty & The Heartbreakers will celebrating 40 years with performances on July 5 and July 6. Chris Stapleton will be joining them on stage, as a special guest. Tickets for Tom Petty & The Heartbreakers performance are on sale to the general public, as of Dec. 16. 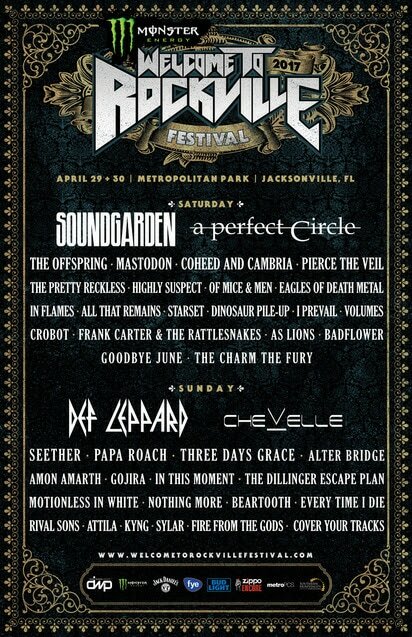 JACKSONVILLE, Fla. – Monster Energy Welcome To Rockville takes place at Metropolitan Park, on April 29 and April 30. 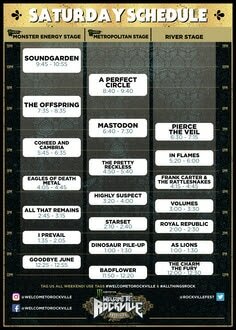 Soundgarden headlines on April 29, Def Leppard headlines on April 30 and a special performance by A Perfect Circle is scheduled. Discounted early bird tickets, very important person (VIP) and hotel packages goes on sale, on at 12 p.m. Eastern Time at Dec. 6.